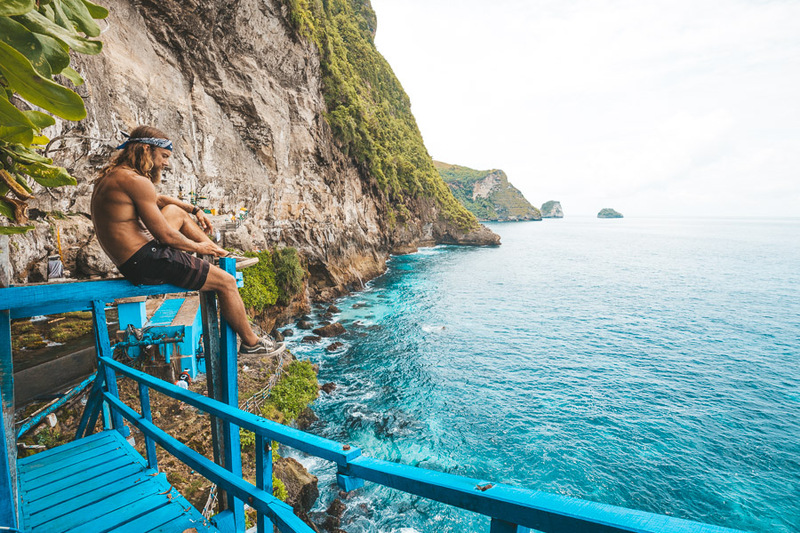 Enjoy how beautiful sea view from the edge of a cliff during the trip down the stairs to the lower lip of the cliff. Peguyangan is a blend of clean water springs to the sea. And there are two natural ponds with clean, clear and cool water springs where you can swim in it. Why Peguyangan Waterfall is special ? This waterfall will take your breath away and so will the journey there… Literally. If you don’t like stairs or you are incapacitated in some way then this might not be the best adventure for you. There is a lot of walking and the terrain is quite challenging, including a 200 meter cliff of very steep stairs to scale. You will need to hire amotorbike to get around on Nusa Penida or maybe even a motorbike with a driver as the signage is quite primitive and difficult to understand if you aren’t a local. What to explore at Peguyangan Waterfall? Of course the trip there is absolutely worth it when you see this spectacular thing nature has produced. Located on the south west coast, the waterfall is not one you can swim beneath like you may have assumed, but there is anatural spring nearby if you do fancy a dip. Instead, when you finally get to see the waterfall there is a stretch of fence in the viewing area that you can lean over, the security guards will stop any untoward behaviour.